Comments: Hardcover, 240 x 290 mm. First edition, 2017. Edition limited to 350 copies with a C-print signed by the author. "The current decade, only half past, deserves a look to the current score. The photobook has achieved popularity, quality and quantity unexpectedly high dimensions. All the more important content and the digital world calls for and the digital photo book. But maybe the right way is indeed in between. 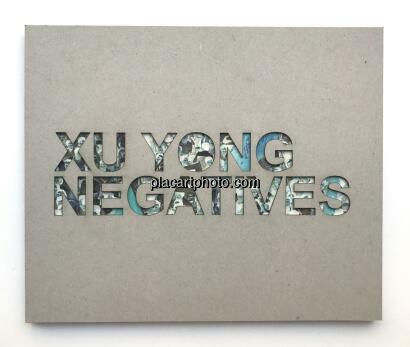 This shows an outstanding concept of the Chinese photographer Xu Yong with his brilliant photobook NEGATIVE! A hybrid between analogy and digital. 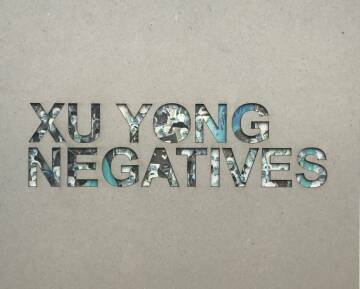 What demands Xu Yong? The viewer can or must reverse the printed in negative colour photographs with his smartphone and thus becomes a (positive) developers in their own digital darkroom. The theme : politically explosive: The China still taboo recordings of the protests on the Tiananmen Square in Beijing in 1989. Fantastic and pioneering. The photobook has arrived in the new decade." - from the introduction by Markus Schaden.